How to stand out in a crowded marketplace? How do we remain authentic and heartfelt AND be unmissable? (without shouting?) You already have the answers. The Meaningful Business Podcast Is BACK!!!!! The MBA podcast returns and I’ve got some treats in store for this season. To kick us off, I’m talking today about just how we can stand out as business owners – even when we’re told the marketplace is saturated. Because the secret is that it’s both simpler and more challenging that you’ve been led to believe – BUT the good news is you don’t need any special tools, fancy branding or a new photoshoot or revamped website to do it. 00:01 Welcome to the meaningful business podcast with me, Jo Casey, place for coaches, healers, consultants, and other service based folks so you can learn how to build a sustainable, meaningful business without having to resort to the dark arts or sleazy marketing techniques. 00:24 Hey, welcome. It’s Jo Casey. Welcome to the meaningful business podcast. I’m thrilled to be back. We’ve been on hiatus for a couple of months over the summer and then a little bit longer. Well, I kind of recovered from the summer. oh, I’ve done so many lovely things. I ran the meaningful business summits. Maybe you, uh, you came in a took part in that and listen to some of the amazing interviews on watch some of the conversations that we’re having there. That was just stunning. I’m going to be sharing some, some edited highlights from that. Over the next few months on the podcast, I went to Canada. I went to Toronto and met up with some entrepreneurial buddies and people that I’ve met in real life, some people that I hadn’t before and you knew virtually and got to hug them and squeeze them. And that was just gorgeous. 01:18 And it makes me sound like a terribly glamorous and travel filled life, which isn’t exactly true, but um, it was really lovely to get out there. Loved Canada. Toronto is beautiful. I ate all the poutine. It was, it was just great. And now we’re back. I’m deep in the middle of launch for the third round. I can’t believe we’ve done this three times now of the supernova collective. So if you are a coach or a healer or it have some kind of holistic business or a consultant and you really want to take your business to a solid footing where you’re getting consistent income, you have a marketing plan that works for you, you’re getting dream clients, you know, your big, bold message for the world. Then go over to JoCasey.com, slash supernova. There are still a couple of slots available for that and I would love to chat to you about that if that sounds like something you need. 02:42 Okay. Onwards! Today I want to be talking about this, this idea that it’s a really crowded market out there. I hear this a lot, that the coaching, the healing, the online space is really crowded, the market is saturated, there’s too many people out there. It’s incredibly noisy. And how on earth do you stand out amidst all that and so I’m going to share with you today just how you do it and it’s simpler than you think and probably harder than you think. Most, uh, most of the important stuff in life. So here we go. Today going to be talking about how to stand out in a very crowded marketplace because if you ever get that feeling of, oh, it seems just like everybody and it’s just as a coach right now and that seems to be a lot of, of noise out there. 03:22 Then I have some really good and reassuring news for you. You are your superpower. I was thinking about this all day today and I’ve had super busy, wonderful, gorgeous day working with clients and all that had been excited to come in and tell you this because we can get really down. We can get really stuck in this idea that it’s all been said before. It’s all been done before. There seems to be so many coaches out there. They seemed to be so many healers, so many holistic practitioners out there and there’s so much noise and how do we stand out amongst all that noise? It’s really difficult. Right? And it’s really easy to get into this kind of mental whirlpool of, Oh, it’s all too difficult. There’s too many people and they’re all saying the same things and I want you to really hear me when I say this. 04:36 You are un-copyable providing you are able to fully show up as you the fully formed human that you are. So let me talk about that in a bit more depth. Let me, let me explain what I mean by that. When I first started out, I’m in my online coaching business. I did what most people do, what you maybe have done and that I didn’t know the rules of running a business. I didn’t know the rules of being in this online space. And so I look to other people to understand what it was that I was supposed to do and very much like now there were lots of coaches who had very slick marketing who all looked a similar way. Um, so for women it was jus colored sleeveless shift dresses, long tousled hair and you know, very polished, almost like a kind of polished corporate CEO type image. 05:56 And for the it was sharp suits and that’s evolved slightly over the past few years. So it’s much more like to see guys in Polo shirts and maybe tee shirts if the, you know, they’ve got that go back to California and hey, I’m not an ordinary marketer to kind of marketer. And for the women that expanded a little bit, but it’s still very, very similar. And so I thought that’s how I have to look. I thought for my website I had to have a website that was an identikit of all of those people I saw out there, I thought that I have to be given the same messages to other people give him. Because at the time I couldn’t explain what coaching was. I couldn’t explain what it was I did because I haven’t dug in. I hadn’t discovered what my kind of unique message was and I also, there was a real confusion in my mind anyway, about what I needed to be doing in order to find that message in order to be able to just show up in a way that didn’t feel like I was putting on this badly fitting suit. 07:12 Sometimes. It was a literal suit. My, the very first head shots that I got done. I got my husband to take them in the garden and I put on an old suit jacket that I had from my days in corporate and it was like way back in the days of corporate because for a long time when I. I worked in my day job since having my, um, my, my son, it wasn’t the place where you really wore suit jackets. It was much more kind of sweater and a pair of trousers type place. But I found this jacket and I put the jacket on that way because that’s what I’d seen all of the other coaches do. And it was awkward at best. It was awkward. I looked inauthentic, I looked to everybody like I was putting on a mask and I was saying the same things as everybody else. 08:07 So if you’re at that stage where right now you are thinking, I don’t know how to stand out, I don’t know how to do this. Then rather than looking outwards towards everybody is doing start looking inwards. What’s the thing that if you could grab people by the shoulders and you only had just two minutes, maybe not even two minutes, maybe even just 30 seconds to be able to talk to them and be able to say the one thing you would want people to know, your ideal clients, these people, you’re, you’re so desperate to help the people you were put here to help. What would you want them to know? 08:52 So imagine if like the lift doors are closing or the end of the disaster movie and you know, the, the big doors are coming down and you, you are able to just shout through them before they absolutely closed completely. Or maybe you have to scoot under under the thing. And then reach your hand through and grab your pet or something. You know that that’s been the action movie and you’ve got like 30 seconds to say the one thing, the one thing you want them to know. What would you tell them? Because that that kind of energy, that kind of passion, that gives you insight into what is that thing that you would take the stand for that you are here to do, that you are here to talk about. Why is it? What do you want people to know more than anything? What were you here to build a movement around? What do you want your rallying cry to be? Is it that you want them to know that they do not have to live in pain of one moment longer and they have way more power than they actually understand? Is it that you want them to be able to raise their voices up and stop living the small life fearful and afraid and to actually be able to see that wants and their needs and their desires as valuable and you can help them to do that. You can help them to do that while still maintaining great relationships with their friends and their family. 11:30 and it’s not about, I will teach you how to live your best life. It’s not about I will teach you how to lose seven pounds or you know, it’s, it’s the big universal. Grab them by the shoulders. “I cannot leave this place until you know this feeling.” What is that? What is that that you want them to know? Because once you that then you have the fire. You have the passion, you have the thing that is going to set you apart because you’re rallying cry. So that’s the thing. That’s the fire. That’s the. This is my big message. This is the thing I have. You have to know. Once you have that, that immediately is going to set you apart from everybody else because you’re not saying, oh, hope you live your best life. You’re not saying I will help you to La la, live more healthfully or that you know anything like that because there are many people out there saying that you’re saying something with passion. You were saying something with, with, with oomph. 12:36 The second thing I want you to look at is how are you showing up in your business as a human? How are you presenting yourself as a human? Are you presenting yourself as in putting on the suit jacket, as in during the thing that you think everybody else is doing and therefore you have to do, and I want you to imagine that your business, your brand for your business, you know, things that we talk about in terms of the visuals, the tone, the type of language that you used, the kind of colors, all of those types of things, the brand, the personality of Your Business, the personality of your business only needs to be slick if that’s who you really are. Your costs are because people aren’t buying slick marketing and in fact it is becoming harder and harder to sell via slick marketing because people are craving human connection, craving it, and so if you can show up as a human in your business, still rooted in your expertise, still know. 13:45 I’m not saying you show up every day and kind of “I’m having a really terrible day. I know you’ve got problems, but let me tell you about mine.” I’m not saying show up like that. There’s nothing wrong with showing some vulnerability, but I’m, you know, we don’t want to be showing up weeping mess in our businesses when we’re here to help other people, but I do want you to think about how can you show up in a more human way. So one of the things that people say about me time and time again is that I’m human. I’m authentic and I’m human and authentic because I’m really bad at keeping the artifice up. I was really bad at it. I’m, I’m not very good. I never have been at having a poker face. I’m not very good at pretending I like something when I don’t. I’m not very good at faking enthusiasm for things I don’t feel enthusiastic about. 14:41 And so in order for me to carry on and have some sustainability and not just be drained and feeling artificial and Yucky everyday in my business, I really had to dig into what is it about me that makes me good at what I do? What is it about me in terms of my skills, but also my experiences, but also my story, but also my personality. But also my slightly off kilter dress sense, you know, it’s, it’s about showing up as a rounded human. And so if you listened to me and if you, um, actually start to implement some of this stuff, I’m going to save you a ton of time and money, A TON of time and money! You need a stylist, You won’t need someone to do, you know, a really fancy brand package because you will be able to do it authentically and from within because I suspect that you don’t want to have a generic business because you are not a generic person. None of us are – you are unique and that is your superpower. You are unique and that is what will help you stand out from the crowd. Not about using gimmicks, not about being controversial for controversy’s sake, but about showing up as a rounded human. 16:28 If you can do that, if you come use your message, that thing, that is the thing you want to tell people. If you can imbue your business with personality and your branding and your marketing with your personality, if you can do all of that, then they clients you attract all going to be attracted to you because you are you and therefore they are going to be way better fits for you. Yeah, and they are going to be the type of people who show up because of who you are, not because you’re competing with the 20 other health coaches on their facebook feed. who all kind of look the same and seem to be offering a similar type of thing. You’re going to make it much easier for them to say, I’m to work with that person because I think that person will get where I’m coming from that I think. I think that person, that somebody I can trust. That’s what’s gonna set you apart. 17:34 So this is an exercise that I get my clients to do. It’s about mapping out your kind of unique, your unique position in the world. Uh, Nilofer Merchant calls it your Onlyness and your Onlyness is that space in universes that only you occupy. No one else occupies it. So no one else has the same combination of life, experience, skills, beliefs, values, all of those things at the intersection of all of those things stands you. And the more you can be rooted and stood in that place, the more you can show up as you. And I know that this is super vulnerable to show up as you. It’s much easier to do it as the facade, but the more you can show up as you, the more you can root into you being your super power. The more you can ditch the facade and the shiny and the pretending to be somebody that you’re not. 18:33 The more you can do that, the more you’re going to resonate with the right people. My grandmother used to have this phrase as a lid to every pot. Well people come see that you are their pot and they are your lid or vice versa. If you don’t show them who you are. If you’re hiding parts of yourself from, you know, the, the, the bits that you think will make you a bit too quirky or oh, a bit too opinionated. Or, oh, I, I’ll start doing video and I’ve lost some weight, or I’ve, you know, had a more sensible haircut, or I need to get changed. I need to have done this, I need to have done that. No, the more you can show up, as you rounded human, the more your people will find you, but if you don’t do that, they can’t find you. And so that’s where this authentic piece comes in. 19:32 Your authenticity, your uniqueness is your superpower. So I really want you to stop thinking of your, your quirks and all the things you haven’t done and the things that you have done that are maybe not directly related to coaching or healing or whatever your businesses is, your opinions, your quirky hobbies, the things that you’re not very good at. I really want you to start using those as part of how you show up to people because that’s how we make decisions as humans. That’s how we bond. That’s how we learn to trust people when we can see them properly. 20:17 And so a big part of the work that I do with people is around helping them to create this unique business and this unique brand that’s based on them as the person. So for example, one of my, my supernova clients, Tracie Nichols, amazing, amazing, amazing works with body center practitioners, works with nature and the land and and loves helping particularly women who are older and that kind of third phase of, of life recently worked with sales page all in poetry is one long poem because she’s a poet. Not that, oh, she’s a poet as in you know, oh, but you know, she just is genuinely a poet. She writes poetry and so that just seemed so natural and so and so aligned with who she is. And so that course sold. People signed up and paid money to attend a class based on a sales page written entirely in poetry because they resonated with her message. 21:29 They resonated with her style, her skills, what she was offering, but also partly because she is who she is and she is so unique because of that is part of the appeal that is part of the “brand”, so it adds this extra layer of uncomfortableness to it because she’s unique. Do you think there’s anybody else in the world who is doing that? No. Sharon Zinc another one of my supernova clients. She’s a feminist book writing coach. How many of them are out there? Very, very few. In fact, we think Sharon’s the only one. Jen Pavich – feminist life coach, wears red lipstick, has red hair is funny as anything. I) was going to swear then but I won’t) once again people become un-copyable because they’re showing up fully as them and so that’s one of the core things that I teach people how to do and yes, we have a really strong and loving container around it because it is vulnerable and we don’t ignore that. 22:39 We work through. It’s possible, and when you do that, you create something that not only resonates with the right people but feels great to you because I know you don’t want a generic business because you’re unique, you want something unique, you deserve something unique. You can create something unique. 23:03 So please stop worrying about what other people are doing, about how many other coaches or healers or holistic practitioners that are out there, don’t worry about what other people are doing and focus instead on what it is that makes you unique. What is it in terms of that combination of passions and skills and experience and outlook that puts you in this unique, beautiful spot in the universe and that’s your brand of genius. That’s your superpower. That’s your special sauce. That’s you know, however you want to describe it. That’s actually the thing that will attract the right people to you without question, and your job is to show up as you, own those skills. Own those opinions, own those values. 24:47 we need you in your work. I’ll speak to you soon. Take care.  24:55 Thanks for listening to the meaningful business podcasts with made Joe Casey. If you want to know more about how you can grow your meaningful business, then head over to meaningful Biz Academy Dot Com. That’s meaningful best bi zed academy.com, where you’ll find all of the details of the academy including masterclasses, courses, coworking opportunities, member discounts are you can get free coaching, exclusive meditations to help build your confidence and bust through those mindset blocks and a whole lot. That’s meaningful base academy.com, and I’ll speak to you soon.